Tight Hamstrings? We Can Help! BollyX is a Bollywood-inspired dance-fitness program that combines dynamic choreography with the hottest music from around the world. The 50-minute cardio workout cycles between higher and lower-intensity dance sequences to get you moving, sweating and motivated all at the same time. At the very core of a BollyX workout is the inspiration it draws from the music and dance of Bollywood, the film industry of India. We embody the infectious energy, expression and movement of Bollywood and aim to expand the reach of fitness to more people worldwide. Our fitness curriculum has been created by world-class choreographers and certified fitness professionals to ensure a safe and powerful total-body dance workout for all. BollyX utilizes interval training techniques; the unique workout not only tones your entire body but also burns serious calories – participants have recorded a calorie burn of 500-800 calories per session. No prior dance experience is required – just a positive attitude and the desire to unleash your inner swagger! BollyX pushes the world of fitness forward to a new kind of experience. Getting you in the best shape of your life is one thing, but giving you the platform to feel like a Bollywood star simultaneously is a whole other ball game. Fresh off the semi-finals of America’s Got Talent, Shahil Patel was plotting his next move to bring Bollywood to the masses. On the campuses of UC Berkeley, Mayuri Bhandari was creating award-winning choreography and teaching dynamic Bollywood dance classes packed with 150+ people on a weekly basis. Meanwhile, Minal Mehta, marketing maven and Harvard MBA, was looking to build a badass brand that brought people together in a meaningful way. Together, they teamed up to combine their passions…and BollyX was born! In June 2013, Shahil, Mayuri, and Minal launched their first BollyX classes in Cambridge, MA, where they quickly crossed paths with Fen Tung. With over 14 years of industry experience and certifications ranging from Zumba to Les Mills, AFAA to NASM, and Kickboxing to Pilates, Fen gave BollyX the bridge it needed between Bollywood and fitness. As classes began to grow, the team realized they were onto something special. Enter Brent Lagerman, the branding mastermind behind the billion-dollar fitness event company Tough Mudder. Under Brent’s guidance, BollyX developed a new logo, website and brand identity. Shortly thereafter, Brent became CTO of BollyX to build an online training portal that enabled instructors to easily access choreography, marketing materials and class management tools to support their classes. Come January of 2014, BollyX filmed its very first promo video – you may recognize the studio from Beyonce’s Love on Top! Since then, BollyX has launched 400 weekly Bollywood workout classes across 30 states with a growing community of over 2,000 BollyX trainees and instructors. You can find us in major cities such as Boston, NYC, Chicago, Dallas, Seattle, San Francisco, and Vancouver, with more being added to the list every month. BollyX instructors come from a wide range of backgrounds spanning from ‘brand-new-to-fitness’ to experienced dancers and fitness instructors who teach Les Mills, Zumba, Yoga, Pilates, and TRX. BollyX has headlined at IDEA World, the US fitness industry’s largest convention, and has won the Harvard Business School award of “Most Innovative” new venture of 2015. As the BollyX instructor community rapidly expands, it’s just a matter of time before BollyX comes to a gym near you! Learn more about BollyX at www.bollyx.com. How many times have you heard (or said) “No matter how much I stretch them, my hamstrings are always so tight”? In most cases, our hamstrings feel tight because they are over-lengthened rather than shortened by contraction, which is why no amount of stretching will provide relief. How do we help our students and clients with over-lengthened hamstrings? First, we need to be able to explain to them WHY stretching isn’t helping. This whole dilemma starts with the pelvis. In an ideal world, the pelvis sits in a neutral position and the hamstrings and their opposing muscles, the quadriceps, are both in a relaxed state. In the real world, however; most of us have some degree of an anterior pelvic tilt as a result of sitting for prolonged periods of time. Even if we try not to sit too much at this point in our lives, think about how many hours we have spent sitting at a desk. At least 12 years of school right? Homework? Maybe an office job at one point? It all adds up to extra tight hip flexors and a pesky pelvic tilt. As the pelvis tilts forward, the hamstrings, which attach at the backside if the pelvis, are lengthened. Over time, if the postural issue isn’t addressed, the pelvic tilt will continue to get more severe until the hamstrings are stretched so far that they start to actually feel “tight”. Think about stretching a rubber band to the point where it turns white – that point where any stress on the elastic may cause it to snap. Will stretching that rubber band farther make it stronger? NO! So if stretching the hamstrings isn’t the answer, what do we do to relieve the pain and prevent injury? The hamstrings need to be strengthened in order to help return the pelvis to a neutral position. Think about this common postural problem as you design your programming. Take the time to really stretch the front chain of the body. Stretch those quadriceps and hip flexors whenever possible and add some extra hamstring and glute work and watch the complaints of “tight” hamstrings fade into the sunset! Want to learn more? Sign up today for the “What the Tuck” session with Karli at California MANIA®, www.scwfit.com/california. The transformative results that go hand-in-hand with high-intensity interval training don’t come from sitting on your rear. Or do they? New research by Professor Jinger Gottschall at Penn State University has proven that high-intensity interval cycling can significantly improve cardiovascular, metabolic, and musculoskeletal fitness making it an effective, low-impact alternative to traditional high-intensity interval training. During a six-week study, 36 physically fit adults ticked off at least three 60-minute sessions of cardiovascular exercise per week. Half replaced a single 60-minute cardiovascular training session with two 30-minute high-intensity LES MILLS SPRINT™ indoor cycling sessions on non-consecutive days. Researchers measured blood pressure, peak oxygen consumption, fasting blood profile, body composition and leg strength at the start of the study and again six weeks later. According to Bryce Hastings, Les Mills Head of Research, the improvements were striking. training (HIIT) structure, in which periods of exertion over 85 percent of maximum heart rate are followed by periods of recovery or rest – a scientifically proven HIIT formula that allows you to keep reaching your maximum training zone again and again. Thanks to the HIIT effect, you can get up to nine times the fat loss of regular cardio training and can burn calories for hours after your workout. “We’ve long known that high-intensity exercise can make a significant difference in overall health and fitness in a relatively short amount of time, however; because this type of exercise often involves weight-bearing impact, it has not been a viable option for those who suffer foot, knee, and lower back pain,” says Jinger Gottschall, Associate Professor and lead researcher of the study. These new findings suggest that low-impact interval cycling can achieve similar results to weight- bearing HIIT exercise. “There is less impact with LES MILLS SPRINTTM than weight-bearing HIIT programs, so it may suit those with orthopedic restrictions,” said Jinger. High-intensity interval cycling is also ideal if you’re looking to introduce high-intensity to you training. The 30-minute cycling workout allows anyone to push their physical and mental limits in a safe environment. It features bursts of intensity to work you as hard as possible, followed by periods of rest allowing you to prepare for the next effort. Are you up for the challenge? Take a seat and see your fitness fly. Learn more at www.lesmills.com. Come check out Les Mills SPRINT™ LIVE at a MANIA® Near You, www.scwfit.com/MANIA. Runners like to run; it’s basically a universal fact. Many runners understandably think that in order to get better at their sport or to be able to run faster or run farther or just run stronger, all they have to and should do is run. Given this, perhaps it’s not surprising that runners often have huge injury rates. Year after year, runners are beset by injuries that are annoying at best, like overuse injuries such as iliotibial band syndrome or season-ending at worst, like stress reactions or stress fractures. It can be tricky for runners to know exactly how much running they ought to be doing to realize their goals. Many runners use Internet-supplied training plans that lack any sort of personalization, so they often assume that they should just follow the plans as instructed. Instead, most runners would stand to benefit from including more cross-training into their training plans, even at the risk of nixing a run or two each week. The advantages typically outweigh the disadvantages. Many runners, they may feel that including cross-training in their training plan will be a detriment to their running fitness/speed development or that cross-training may actually increase their risk of injury. Experience has shown just the opposite to be true. In case you are a runner and are wondering whether you should seriously consider cross-training, I’ll describe in detail below just a few reasons why cross-training is worth your time and how it can help make you a stronger, faster, fitter, and healthier, injury-free runner. Cross-training will give your running muscles a small respite. While running isn’t a contact sport like football, it is a contact sport in the sense that it makes your body take a pretty rough beating with every footfall you take. Even if you feel like you are going slowly on your easiest of easy days, your footfalls still create nearly four times the amount of your body weight of force that reverberate through all of your body. If you cross-train regularly, you’ll be giving your body, as well as your running muscles, a little mini vacation from all the stress of the pounding. You still can get in an excellent cardiovascular workout in during your cross-training, and runners, in particular, will benefit from the minimal impact or no-impact activities like cycling, swimming, or pool running. Cross-training can help fill in the gaps in your strength. While running is a whole-body workout, it’s undeniable that it works some of your muscles (lower body) much more than others (upper body). If you cross-train or strength-train regularly, doing so will help to essentially fill in the gaps in your strength and in turn, help you to become a more well-rounded and stronger runner. Of course, it’s possible to gain and develop muscle all over exclusively from running, but cross-training or strength-training will do a better, more reliable job of ensuring that all parts of your body are strong. You’re not going to get “big” from cross or strength-training. Runners often fear that if they do any amount of cross-training or strength-training that they will suddenly balloon overnight and become veritable huge Hulk-sized beings and in essence, get a lot slower. Science tells us that this isn’t a worthwhile concern, and particularly for women, it’s nearly impossible to “get big” from lifting. If you’re a runner, and your primary focus is on your running, incorporating cross or strength-training a couple times a week isn’t going to become a deleterious endeavor. In fact, by working with a coach, you’ll be able to target your strength training to correspond appropriately with your type of running endeavors (distance, sprints, track events, and the like). Professional runners spend a ton of time in the weight room, and they obviously wouldn’t do so if it were detrimental to their careers. Cross-training can help work out all the little niggles. Running is a sport that can take its toll on your body over time and especially when the training gets really tough and heavy. If you cross-train regularly, you’re giving your body some more opportunities to work out all the little niggles – the muscle soreness, tightness, slight discomforts and hopefully, nothing actually painful, that builds up. Working your body in alternative planes of motion is a wonderful way of working through everything, and the activities I mentioned above (cycling, pool running, swimming, weightlifting) in addition to Pilates or yoga, can be very beneficial to runners. 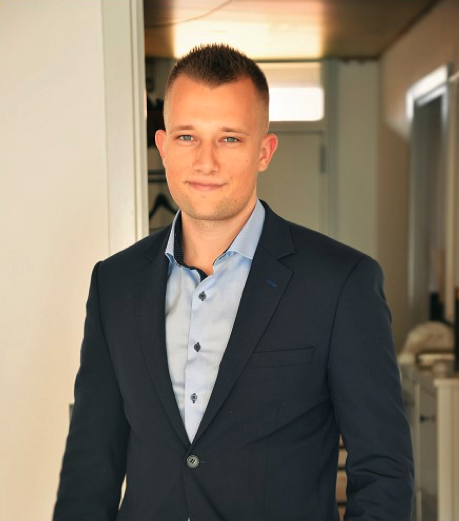 Dan Chabert is an entrepreneur and a husband, who hails from Copenhagen, Denmark. He loves to join ultramarathon races and travel to popular running destinations together with his wife. During regular days, he manages his websites, Runnerclick, Nicershoes, Monica’s Health Magazine and GearWeAre. Dan also has been featured in several popular running blogs across the world. Experience MOTR® Live at a MANIA® Near You!! Putting together extra ingredients you have left over from a gathering or after buying too much is like a puzzle and it’s often where our best creations come to life! We’ve heard a lot about sweet potato toast recently but now we’re giving it a try ourselves. The best part is, you can use any toppings you want and you know we LOVE toppings! The directions are simple: grab a sweet potato and peel it. Cut it into 1/2 inch thick rounds and toast them like bread. Note that it may take a couple rounds in the toaster to cook them all the way so don’t be afraid to toast them 2-3 times on high! You want the slices to be soft but slightly browned just like toast! Give your favorite toppings a try and post your #balancedeats #sweetpotatotoast on Instagram! Tag us @poundfit so we can see your creations!